I have known Lynda Hubbard of TRENDSETTERS for many years now and have thought well of her during this time. The market research she provides is as valuable as the very air we breathe. She uses and applies a unique technology unlike any other on the planet. As the CEO of Hugo House Publishers, Ltd. the ability to get inside and to parallel the mind of the potential reader is truly fabulous. The several Hugo House authors who have utilized Lynda’s research have greatly benefited from this intimate knowledge. Lynda and her team have the ability to get into live personal communication with specific book buying publics. They have an amazing ability to “pull the string” or to get to the very bottom of any topic or issue. Thus not only do we get to see exactly inside the mind of an author’s audience but we get to discuss the likes and dislikes along with discovering the hopes and dreams that this audience wishes. In addition to discerning truly what is needed and wanted, Lynda’s reports provide answers in the exact language that specific audience uses. This is a tremendous boon to the author and copywriters of the marketing materials. The publishing world is experiencing a constantly changing landscape and has become a tremendously intricate labyrinth. 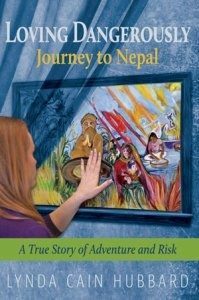 To guide our authors through this without Lynda’s research is akin to traveling without a map and to flying completely blind in the thickest of fogs. With her research, any fog is dispelled and the path is well taped and lit by bright sunlight. CEO – Hugo House Publishers, Ltd.